There is a Canuck rookie as electrifying as Pavel Bure once was. This both saddens and excites me as Pavel Bure is the reason I became a Canucks fan and felt no player could ever hold a candle to his ability on the ice in a Canucks uniform. As Brock Boeser has emerged he has brought with him hope and the beginning of what could be an amazing era in Canucks history. It doesn’t take long to see why Boeser has become the heir-apparent as the best player on the team, he does everything so well. His shot is lethal. It’s broken ankles, goalies, and even his own coach’s predictions of how good this young star could be. The hype surrounding Brock before he even played his first game was quite similar to Pavel’s debut. Everyone knew what to expect, the pins and needles mounted as the day came near and when North Dakota was eliminated from the NCAA playoffs we all knew it was time. It’s tough to say if anyone believed he’d be playing for the Canucks the very next day but hey, that’s sports! BB scored in his first game against his hometown Minnesota Wild, honestly what could be better than that? Pavel never scored in his first game but he rivaled Brock with the excitement of what was about to come. That same tingly feeling is there when Bure took to the ice and now as Boeser steps over the boards for a shift. Something magical feels like it’s about to happen and every time the puck is on his stick you think you’re about to see the biggest goal of his career… it’s been almost predictable. Bure never scored until his 4th game when he potted two against the LA Kings and didn’t really pile on the goals until later in the season. His play spoke for itself though, and his first game was almost a microcosm of what we were going to see throughout his career. Everything Pavel did was magic and it didn’t take long before he was the talk of the league. Brock Boeser is reaching that status. He isn’t as fast as Bure was and doesn’t have the same hands as him but Boeser has a release that is otherworldly. The way he is able to bend his shots may be his eventual calling card. Boeser definitely has more of a Markus Naslund type shot but with the velocity of an Alex Ovechkin blast. Media and fans alike are building a case for Boeser’s Calder consideration after he took the NHL by storm this week after scoring 6 goals in his last 5 games with 2 of those coming on the power play. He’s heavily involved as the final shot in the Canucks set pieces and the offense is quickly funneling down to him. Don’t forget, he’s 20 years old. This shot is attached to a 20-year-old, OUR 20-year-old. Harbouring a star of Boeser’s caliber has been tough to accept as a Canucks fan because we’ve been burned so many times with almost and never was. Pavel Bure had it all and got the team so close to its first Cup, Markus Naslund and Todd Bertuzzi could never get over the hump of the second round and eventually fizzled out. The Sedins, Ryan Kesler, and Roberto Luongo just couldn’t figure it out and had front row seats in Game 7 against the Bruins as Boston cheered its first Cup in decades. Bo Horvat had his doubters as well so you can see why it’s tough. Brock is a special talent that on the Canucks, is not matched. He will continue to get the media coverage that comes with being an overnight star and from the looks of it, it’s about as exciting to him as clipping toenails. Getting jacked on a Calder candidate in November is dangerous but considering Boeser has played three fewer games than his teammates (two of them were healthy scratches to start the year) as well as being on pace to play more games than Pavel Bure did in his rookie campaign, it’s entirely possible. He currently leads the Canucks in goals and points and as the stats mount up for Brock, the records will start to fall in the Canucks annuls. There hasn’t been a player like him in a long time and it feels good to be envied again after seeing players like Connor McDavid and Auston Matthews fall to teams because they won* a lottery. Boeser was scouted and Jim Benning delivered in spades. One can only imagine what Elias Pettersson and Jonathan Dahlen will do once they arrive. Oh great, another Canucks power play article, super! Things have unraveled so quickly on the man-advantage that coach Travis Green has regressed to running three units with the Sedins still being trotted out on the regular. The obvious answer early on was to get Brock Boeser the puck in a shooting position. Green has committed to putting Bo Horvat, Boeser and Sven Baertschi on his top line but it doesn’t carry over to the power play. Like a classic game of NHL Open ice, the Canucks are going to need to put a few more tokens in the machine to continue this game. Obviously, the Canucks don’t have snipers like Pavel Bure and Alex Mogilny but at least back then the coaches knew what do with them. Across the league, the top teams on the PP have dedicated gunners from “the spot” as Jeff Paterson labeled it a week or so ago. The Canucks have seen a few of these teams set up the guy on the spot, namely the Dallas Stars and Tyler Seguin. The top powerplay producers in the league have players put in a position to score. Dallas, Tampa, New York, Pittsburgh, and Winnipeg are all in the top-five for power play percentages. Their stars Steven Stamkos, Alex Ovechkin, Patrik Laine, and the aforementioned Seguin all have schemes set up to get them the puck. How Green hasn’t figured out he already has a guy, actually a few if you include Thomas Vanek and probably Bo Horvat as well. It’s not for a lack of opportunity either; the Canucks are three chances back of Chicago for most powerplay opportunities in the league, a dramatic improvement from a year ago where they had 25 fewer chances at this same point in the season. What seems to be hampering their chances is their inability to keep the puck in the offensive zone for longer than the initial zone entry and even then half the time it looks like a dump and chase. Back in the day, the Sedins would cross the blue line, make their quick drop pass to the other twin and begin their cycle until the puck found its way to the back of the net. When the West Coast Express was rolling over opponents, Brendan Morrison would setup Markus Naslund at the face-off dot and pull the trigger which either went in the net directly or Todd Bertuzzi would clean up the garbage. This new Canucks team has a few weapons that have proven to be deadly when configured properly. At the beginning of the season, it was all about quick passes and keeping the puck moving. When defenders get enough time to set up their blocks they have a better chance of… well, blocking the shot or worse, clearing it down the ice. What the Canucks need to do is have a triangle offense where Boeser and Vanek are the face-off dot shooters, a middleman, say Horvat and a guy who can hold the line on defense which would probably be Alex Edler? Have as much potential firepower as possible on that first unit and build a complementary transition group that can maintain that speed. Unless Green catches lightning in a bottle with Loui Eriksson or Sam Gagner, they should be nowhere near that powerplay. Gagner is too predictable, much like the Sedins are now, so having a possession-based second unit with Brandon Sutter, Michael Del Zotto and Ben Hutton as the set pieces at least until Troy Stecher returns. Markus Granlund could probably be used in there as well as Sven Baertschi and use the Sedins as a last ditch effort if things aren’t going well at all. Seeing the Canucks’ powerplay opportunities grow is all the more reason to input the young players instead of watching a two-minute snoozer with the old guard. Video games have a pause and a reset button, arcades make you put in more coins when you’re losing; the Canucks need to pause and reset their approach if they want to have any kind of success when they draw a penalty. Sadly, there are no cheat codes in real life. Will Todd Bertuzzi be in the Hockey Hall of Fame? Seeing the latest entries into the Hall this past week got me thinking about why the NHL or I guess, more importantly, the governing body of hockey has SO MANY INDUCTEES!! Baseball is pretty picky and so is football, so why does hockey feel the need to put in anyone that was really good but not great? I believe the Hall of Fame is reserved for those who were truly great, the elite of the elite. There should be no questions when a player gets voted in, it should be a slam dunk. The criteria for what it takes to be a member needs to be made public so we all know what it takes to truly be great. As of right now, that doesn’t exist and we go through years where really good players make it in and are now on par with the greatest players to ever play the game. I think if you’ve won a major individual trophy, have played 500+ games, won the Stanley Cup and crack the top 20-30 (not sure what that is for some positions, mainly goaltenders) or have a combination of at least 3 of those things, you should be in the Hall. So let’s forget all that for a second and focus on #44. For a time, Todd Bertuzzi was the most dominant player in hockey. He had the Gatorade commercial, a catchy song from a local fan and mitts as soft as pillows. GP 1159 G 314 A 456 P 770 To add to all of this he was a -44 which is kind of cool when you think about it. ONE MORE SHIFT BABS! When you look at players like Pavel Bure, Mats Sundin, Dino Ciccarelli, Sergei Makarov and Pat Lafontaine nothing screams Hall of Fame. Were they really good players, you bet. Were they undoubtedly Hall of Famers? I hate to say it but no. The name of this blog is heavily based on what Pavel Bure did in that magical spring of 1994. A win would have cemented him as one of the greatest to play the game and he was unlike anything people had seen when he arrived in the league. He won the Calder trophy as Rookie of the Year, some all-star nods but that’s it. Crazy to think Bure has 9 more points than Bertuzzi and played in over 400 fewer games than Bert as well. If we went on points alone, combined with his brief dominance of the league and playoff performance, he might just get in one day. This, right now, is a reality. Do I actually think Todd Bertuzzi is worthy of the Hall of Fame? No, I don’t. It has nothing to do with the Steve Moore incident, as violent and unnecessary as that was. It isn’t because he didn’t eclipse 1000 points like many of the Hall members have or that he wasn’t in the top 10 of any particular category (maybe advanced stats but I doubt it). Todd had success like so many good players do but he never raised his game above the really good level, his overall decision-making hampered any chance of him winning any scoring titles or advancing beyond the second round of the playoffs for the Canucks. The way he floated around on so many occasions was beyond frustrating. Despite coming to the aid of teammates, his suspensions didn’t put him in the league’s good books either. In 2006, when Bertuzzi was invited to be a member of Team Canada for the Torino Olympics, I just watched in awe as they wasted a spot on him. To be fair, that team was awful right through. Wayne Gretzky loved Todd and it was a forgone conclusion Bertuzzi would be on that team regardless of if he warranted the call or not. A retribution case for Team Canada sounded great but when it comes to best on best, that was a far cry from a true Olympic squad. Back to the Hall discussion; If you had to compare Bure to Bertuzzi, for example, Pavel always gave his all even when he was dragged down by injuries. Pavel wanted out of Vancouver and yet he still put the team on his back and put up a playoff run for the ages and hung around after the fact when it was clear it was his time to move on. Bert was always one of my favourite players but if we’re talking about the Hall of Fame and being included as one of THE best players to ever play the game, he just doesn’t cut it. I imagine someone may make a case for him down the road, however, the Steve Moore incident will probably hang around him when any decisions like this are ever brought up. Also, it would be tough to say he always played hard and was a difference maker for more than 2.5 years. I love ya Big Bert but I don’t think you’ll get that call. OK, now back to this year’s miserable Canucks. As Dan Hamhuis and Chris Higgins bid farewell to the Canucks, there will be a few extra bucks hanging around the Rog on July 1. Jim Benning has drafted the future but his inability to sign true talent has been his undoing. Its pretty early to talk legacy but in Vancouver you don’t get a whole lot of time to make one. As Steven Stamkos enters free agency, Benning can offer the world and in turn would erase years of pain, mistakes and filler. Stammer might not be a generational talent in the sense he isn’t Sidney Crosby or what we all believe Connor McDavid is but his ability to elevate a team is obvious. The Canucks have seen their fair share of injuries and mishaps that only could happen to this team or maybe the Leafs but I assure you, a blood clot will not turn them away. What Stamkos has the chance to do is to be THE star, the magnet and the face of hockey in Vancouver. Roberto Luongo held that mantle for what seemed like forever, Trevor Linden has that spot in many fans hearts but on the ice, on the ice shift after shift Steven Stamkos can bring the fans back and a ton of goals too! Will he cost a lot? Oh he’ll cost a lot and Don Meehan (his agent) will be able to buy a nice new boat when the cheque clears. There won’t be any room left to sign anyone else which in turn means there will be some trades coming. Alex Edler and Jannik Hansen might need to head to the airport to make this happen. No one can forget what players like Pavel Bure, Alex Mogilny, heck our current heroes Henrik and Daniel Sedin have done for the Canucks on the ice. Bure electrified with the flip of a switch and forced fans to tape the game at home so they could see his moves in a slightly slower frame rate. Alex Mogilny was brought in to flank Bure’s other wing and sadly injuries among other things couldn’t get this team past the hump. With the Sedins, they have dazzled night after night in typical Sedin fashion. Possession is 9/10 of the law, the other 1/10 is being a Sedin. People always talk about coming to the games to see the opponents play, well when you came to see the Canucks in 2010-2012 it was the Twins that got top billing. They did it all and still do. With Stamkos, they’ll prolong their careers potentially 2 more years than what they would have achieved if no one else could match their skill level. Yes, he’s a star player and opportunity is in his his blood….hmmmm that actually solves some things. He still needs a Cup and Vancouver won’t get him one this year and maybe not the year after but as this team matures there will be a handful of players that can grow with him and what he does on the ice, what he puts in the back of the net should be motivation enough. Luongo finally got the support he deserved and when it all came together he didn’t need to be the one they relied on every night, he was a complimentary piece to the flood of goals that went in the other net and the defense in front of him was so reliable it made him that much better. If this actually did happen, the top line of Stamkos and the Sedins would be a treat and quite frankly it gives Brandon Sutter and Bo Horvat along with their wingers a whole lot more time to create chances. Shutting down an all star line takes way too much effort and at some point the levy breaks. 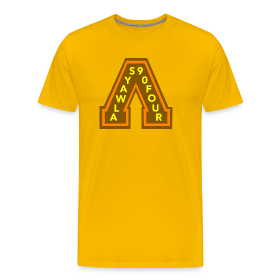 Sure, Luca Sbisa is still there but maybe he won’t be if they need a few extra bucks to sign the jolted bolt. This city needs a hero again and it needs something to believe in. Steven Stamkos is that guy, we can believe in his ability. I’m a dreamer and the likelihood of him coming to dismal, rainy, riotty Vancouver is slimmer than Kyle Wellwood’s diet books but just imagine for a second that the Canucks changed for the better. I can’t accept that this team will be bad forever, it just isn’t feasible. The Cubs and all their fans will stick it in my face but its doable….right? Or they could sign Lucic and some other guys I guess. Often we dream about the player that was traded away and turned out to be a star or the missed opportunity to draft a player who ends up being an elite sniper in the league; well what if all those decisions didn’t happen? This is the story of the Canucks team that never was. Its summer 1986 in Vancouver, first round pick of the Canucks, Cam Neely is traded to the Boston Bruins for star forward Barry Pederson. The Nucks needed scoring and didn’t want to wait it out to see if Neely would become a star one day. At the time, not a fleecing at all, down the road….uh ya. But read on, its gets better. The Neely trade is regarded as either the worst trade in NHL history or in the top two (Naslund for Stoynov folks!) The Canucks weren’t exactly making waves at the time and needed a boost. Well, what if they hung onto Neely and rode it out? Most likely he would have continued to develop under star and captain Stan Smyl and Vancouver still ended up with the 2nd overall pick in the 1988 draft. They would draft Trevor Linden. So now you would have Smyl, Neely, Linden, Adams, Snepts (HARRRRRR-OLLLLLLD) and up and coming goalie Kirk McLean. Things would have picked up from there and who knows maybe the Canucks beat the Flames in 1989…..no cup for you Calgary! That alone feels good for most of us. Things are looking up right? So we beat Calgary, they don’t win the cup and now we go into the draft. I believe GM Pat Quinn still takes Pavel Bure that year late in the draft. 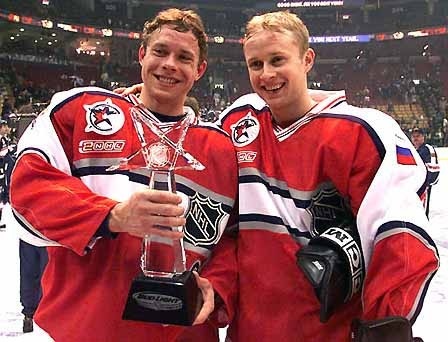 Pavel Bure was an All Star all the time. By 1991 when Bure made his debut, the Canucks would have quite the roster assembled and all because they waited and developed their own talent. Coach Pat Quinn would have one of the top arsenals in the NHL and a player like Neely who would become the NHL’s first power forward. Realistically, the Canucks may have had an opportunity at a Cup earlier than 1994, as early as 92. Although, the Oilers had just come off their run of Cups and the Penguins were the new breed of awesome with Lemieux and Jagr. 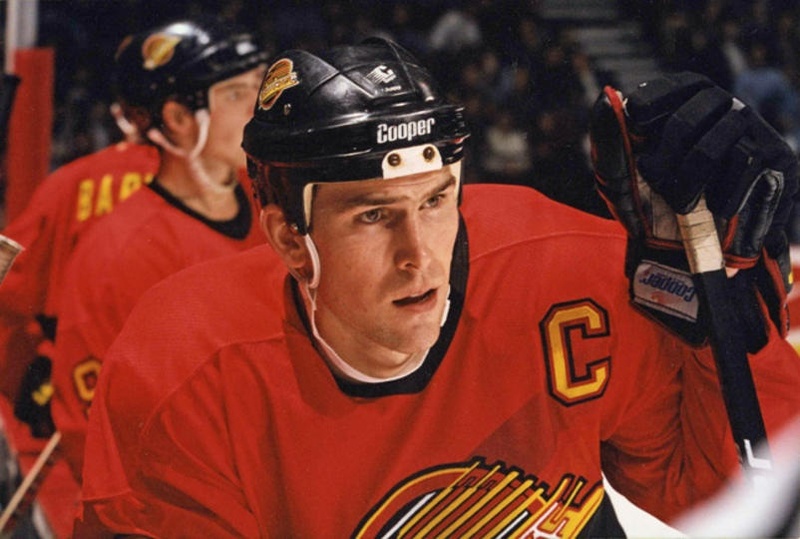 In 1991, the Canucks would have been harboring: Trevor Linden, Cam Neely and Pavel Bure. Greg Adams, Cliff Ronning and Geoff Courtnall. Rounding out the bottom would have seen Sergio Momesso, Jim Sandlak and Garry Valk. The defense would have been Jyrki Lumme, Gerald Diduck, Dave Babych and Jim Agnew. Oh, forgot to mention Igor Larionov would have been there still. Kirk Mclean would be our star goalie. A pretty solid group on paper and most likely would have done quite well in the Smythe division. So what does all this mean? Am I saying this would have fixed all the Canucks problems to this date? Maybe. Would the Canucks have a unforgiving, lynch mob type fan base now? Probably not. Would Dave Nonis still have a love for Orange Julius hot dogs, most defintely! This just shows had they hung on a biiiiiiit longer, the Canucks may have become an organization that would have been a chore to play every year, you would have never wanted them to draft anyone because they would turn them into stars and the organization most likely wouldn’t have taken their fan base for granted for so many years…they wouldn’t have had to. The story gets better though. Ok, Canucks are stacked, looking good, everyone in the league is taking notice as are the fans around Canada. Pattie Mallette decides to move cross country to the west coast to start a new life after a troubled youth, she never rekindles her relationship with Jeremy Bieber and thus, the world never experiences Bieber Fever. I know I like that story a whole lot better now. And one final head scratcher: IF, Cam Neely never leaves Vancouver and at the very least plays for the Canucks until at least the last few years of his career, does he ever play Seabass in the movie Dumb and Dumber? Probably not. The movie is based in Rhode Island, which is south of Boston where he would have never played. Would Dumb and Dumber have been the same movie? We’ll never know!